I quite enjoy cooking, preparing meals, and of course eating them. I have a pretty fast metabolism, that on top of chasing the boys around & nursing Joshua means I'm quite often hungry, so I like foods that are healthy and keep me feeling full. I browse Pinterest almost daily for new recipes to try, though I don't like an awful lot of faff, or things that take too long. 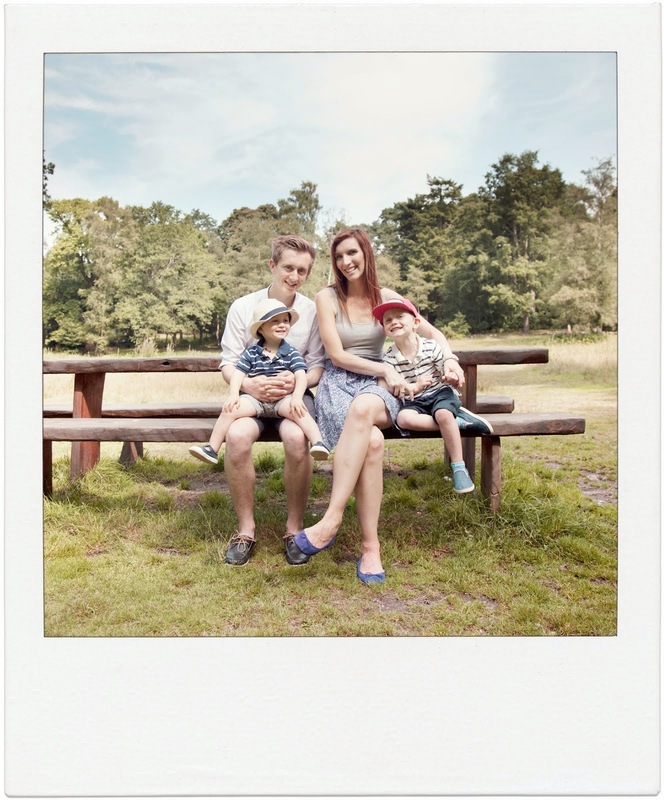 Here are a few ideas for quick meals, in case you're looking for some inspiration too. 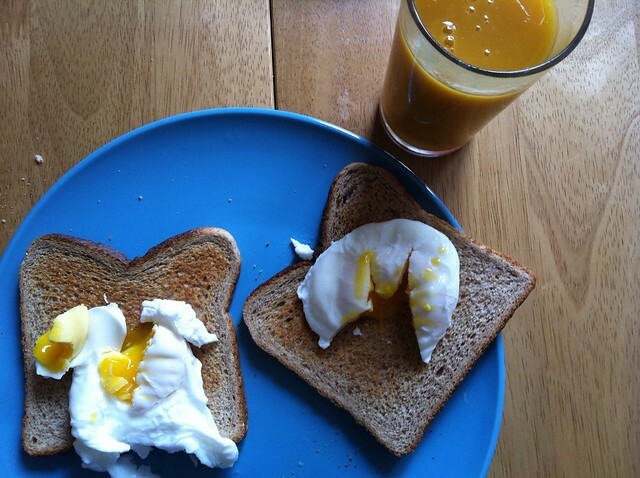 Poached eggs on wholemeal toast, with a peach & apricot smoothie. 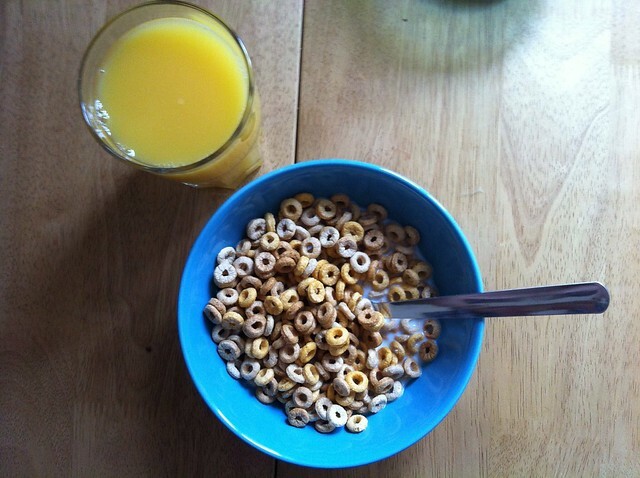 Tesco multigrain hoops & orange juice. 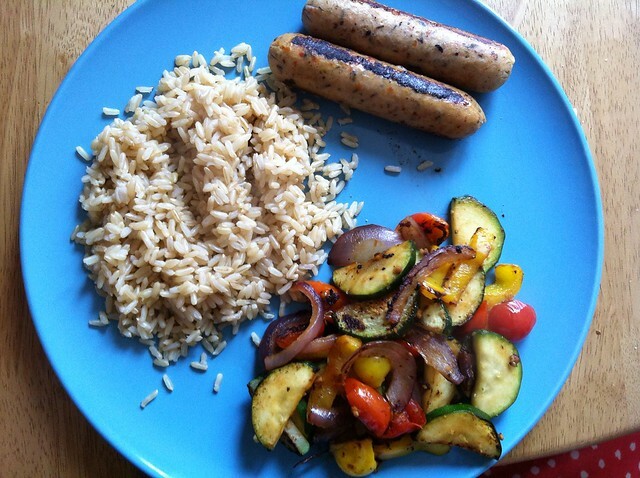 Brown rice, Mediterranean style sausages, roasted vegetables - courgette, yellow pepper, cherry tomatoes & red onion. 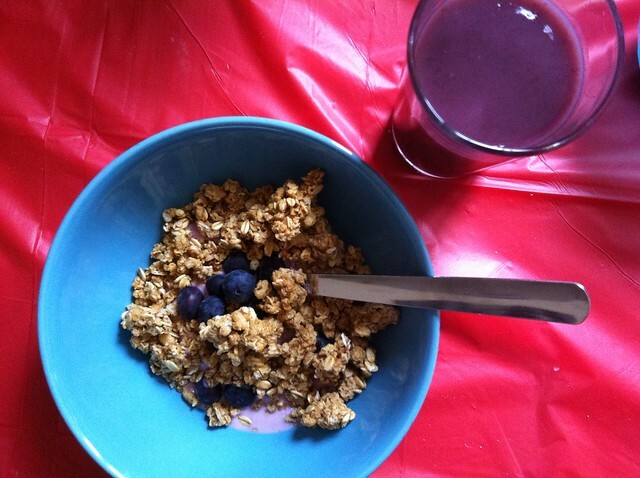 Blueberry yogurt, granola & blueberries, with a berry smoothie. 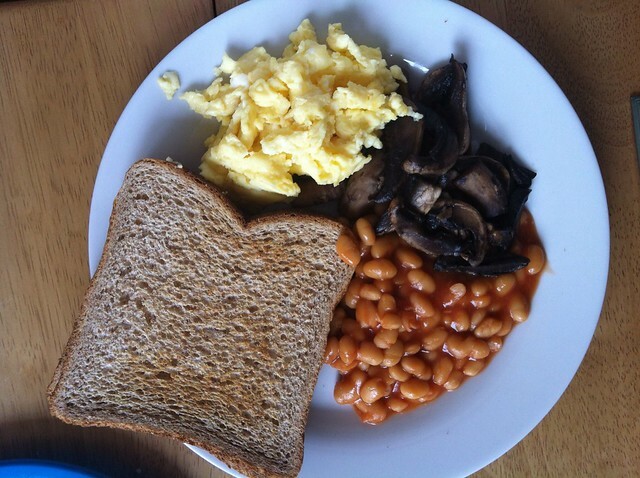 Scrambled eggs, sautéed mushrooms, baked beans & wholemeal toast. 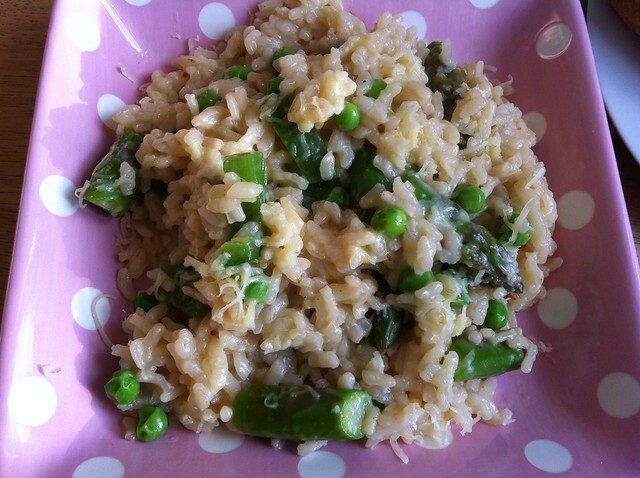 Asparagus & pea risotto. I love risotto, even though it is quite time consuming it's so easy, and I often just chuck in whatever vegetables I have in the fridge. 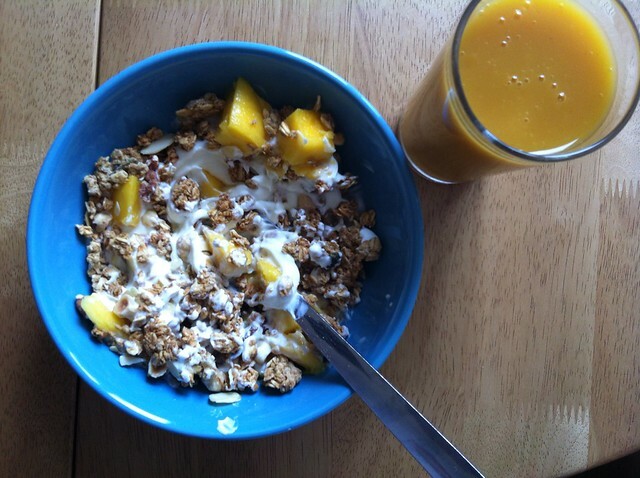 Greek yogurt, mango chunks & granola, with a peach & apricot smoothie. 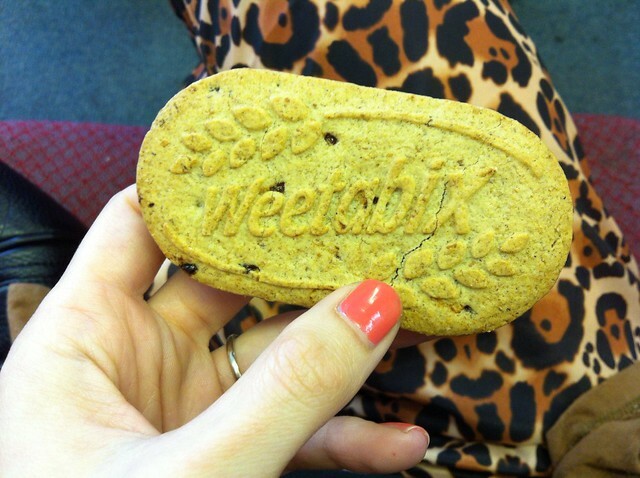 Weetabix On The Go bar. Perfect for popping in my work bag for a mid afternoon snack. Yummy! I need to learn how to cook.